Seat Concepts ribs incorporate foam inserts to improve traction under acceleration and braking. 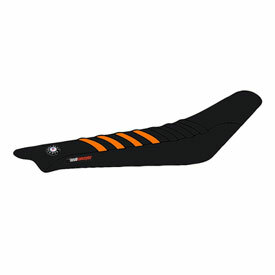 The Seat Concepts Race 2.0 covers are similar to the Super Grip covers with a few additional ribs and it does not have the rubber grip patches on the sides. Ribbed seat cover for added grip. Very nice seat cover! This cover has infinite grip and looks awesome! will it fit 2016 XC-W model? BEST ANSWER: That listing does not. We do offer them though. Check with RMATV customer service for availability.